Rosemary Antioxidant (CO2 Extract), sometimes referred to as Rosemary Oil Extract, is derived from the leaves of the Rosmarinus officinalis – “Rosemary” – botanical through carbon dioxide extraction. This ingredient is a pure antioxidant additive that retains Rosemary’s characteristic odor. It is commonly added to carrier oils or essential oils to further enhance and preserve their freshness while preventing the oxidation that degrades them and causes them to become rancid. Oxidation also alters the chemical composition of highly volatile essential oils, especially those obtained from citrus fruits and conifer trees. Rosemary Antioxidant is a viscous, deep olive-green fluid that is 100% oil-soluble, GMO-free and stabilized with Sunflower Seed Oil. It has a pH value of 4.5 – 5.5. 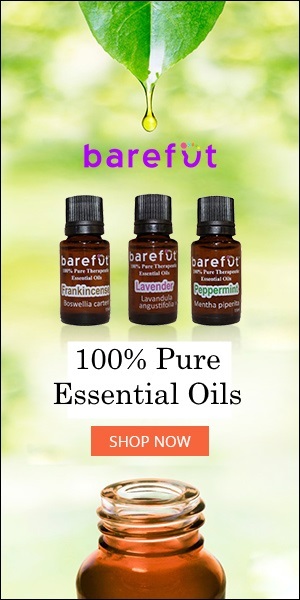 This product is designed to be an additive that prevents the oxidation of carrier or essential oils and is not meant to be used for aromatherapy purposes. The main constituent of Rosemary Antioxidant is Carnosic Acid at 10%. The ratio of Rosemary Carnosic to 100% natural Sunflower Seed Carrier Oil is 1:9. Rosemary Antioxidant has natural and multi-functional antioxidant properties that are greater than that of mixed tocopherols – a class of chemical compounds that largely exhibit the beneficial activities of Vitamin E. Rosemary Antioxidant provides natural oil blends with unparalleled fortification against deterioration and rancidity without any heavy metals, toxic chemicals, solvent residues, and inorganic salts. Another advantage of Rosemary Antioxidant is its ability to stabilize and completely dissolve in most vegetable oils such as those of Soybean, Peanut, and Sunflower Seed among others. It is soluble even at low temperatures and remains stable at temperatures higher than 200 °C (392 °F). Rosemary Antioxidant preserves the shelf-life of finished handmade natural products by slowing the oxidation of fatty oils. Used in conjunction with an emulsifier, it also delays the oxidation of water-soluble compounds. As a preservative, it inhibits the growth of microorganisms. When used in homemade cosmetics, Rosemary Antioxidant naturally preserves products such as creams and lotions as well as other products containing herbal compounds. Due to its concentrated nature, it makes for an economical product, as it can be used in low percentages while still producing impressive results such as skin care benefits, especially for moisturizing skin and slowing the appearance of aging. It relieves skin inflammation and can soothe acne, eczema, and psoriasis. Rosemary Antioxidant protects cells against not only oxidation and inflammation but also against pathogens. HOW IS ROSEMARY ANTIOXIDANT EXTRACTED? Rosemary Antioxidant is produced by the Supercritical CO2 (Carbon Dioxide) Extraction obtained from whole, dried Rosemary leaves. This extraction method preserves the purity of the oil’s base constituents, yielding a highly concentrated finished product that contains the bio-active substances from the botanical matter, namely antioxidants and essential oils. Although this process involves high pressure, it does not involve the use of high temperatures and the oxygen preserves valuable plant compounds. At standard temperature, CO2 behaves like a gas. When frozen, it acts as a solid (dry ice). If the temperature and pressure exerted on the CO2 are increased to be above its critical point – that is, the point at which a gas and a liquid attain the same density and thereby become indistinguishable – the CO2 assumes the properties of both a gas and a liquid; like gas, the CO2 expands to fill a container but is dense like a liquid. This extraction method is free of toxicity and flammability. After extraction, the CO2 evaporates, but it can be reused by returning it to a cold recovery vessel, which re-condenses the solvent vapors and collects the recycled liquid. The Rosemary extract is then stabilized in Sunflower Seed Oil to help increase its solubility. The pungent, penetrating scent of Rosemary Antioxidant is characteristic of the Rosemary herb itself. It has been described as cineole-like, which is considered to be minty, cooling, and camphoraceous such that it exudes a rich herbaceous and woody fragrance. Its odor has also been likened to mothballs. In various carrier oils and other liquid products, Rosemary Antioxidant can be added directly to them in order to extend their shelf lives. To use it as an additive in powder products, it must first be diluted with a carrier oil before being sprayed, immersed, rolled, or injected into the powder product. Despite having the odor of Rosemary, the extract is not expected to have a strong influence on the scent of final homemade products, if added in low percentages. The recommended amount to add to cosmetic products in order to prevent the oxidation of carrier and essential oils and to inhibit an aromatic effect on the product is 0.2 – 0.4% of the total. Rosemary Antioxidant should be thoroughly mixed into any product that it is compounding, and it should not interact with any metals such as Iron or Copper, especially at high temperatures. When mixed with products that have a pH value higher than 8.5, Rosemary Antioxidant will not demonstrate effective results. Rosemary Antioxidant can be added to all anhydrous formulations (that is, formulations with all the water removed) as well as soaps, creams, lotions, massage gels, bath and body oils, emulsions, carrier oil blends, and fragile oils. When creating products that contain oils such as lip balms, lotions, lotion bars, creams, and scrubs, Rosemary Antioxidant can be added to the oil phases of the recipes. Long-term studies and effects of Rosemary Antioxidant CO2 Extract on people are not currently available, as the product is relatively new; however, completed tests have determined that it is generally safe to use, although most available data is insufficient for a conclusion. Rosemary Antioxidant is derived from the Carbon Dioxide extraction of Rosemary leaves. In cosmetics, Rosemary Antioxidant is an additive that enhances and preserves their freshness, especially that of the oils contained within them. Rosemary Antioxidant protects the body and skin from free radical damage. The main constituent of Rosemary Antioxidant is Carnosic Acid, which demonstrates antioxidant, anti-inflammatory, and tonic activities. Rosemary Antioxidant is even more effective than Vitamin E compounds in protecting natural products from deterioration and rancidity.